Audrey just gets it, doesn’t she? Those of you who are in the know about my (shhhh, it’s secret!) “People Free Weekend” understand the oooober-deep connection I feel with sweet Audrey because of this quote. We have a cat named Audrey Hepburn (all four of our cats have two names, three if you count Kat.) She not exactly pretty, but she's awesome so we figured she deserved a pretty girl's name. 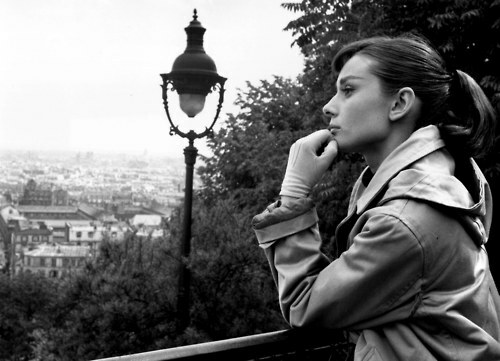 I just love Audrey Hepburn…beautiful picture! I love Audrey Hepburn, and I also love my alone time! Enjoy yours! 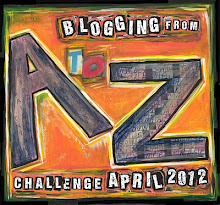 I'm over from A to Z (#1157). Hop over for a visit if you want! Audrey is the absolute best. I hadn't heard that quote of hers before but I wholeheartedly agree with it. Hmm, I posted a comment earlier, but it seems to have disappeared. This has happened to me before on other Blogspot posts. I think Blogger hates me. Ahh… I'm picturing it now, a quiet house (that means wonderful husband has taken the kids away), a glass of wine, and my computer. That would be the perfect alone time. ohhhhhh, I can so relate to this!!! I am a Virgo and always blamed my need for aloneness on that (Greta Garbo, the original “I want to be alone” poster child, was a Virgo). Glad to know I am in good company! found you on the a to z, will be back for more!! Yes! GG was the queen of vanting to be aloooone. Probably a downfall of Hollywood. Oh well, we can always dream.